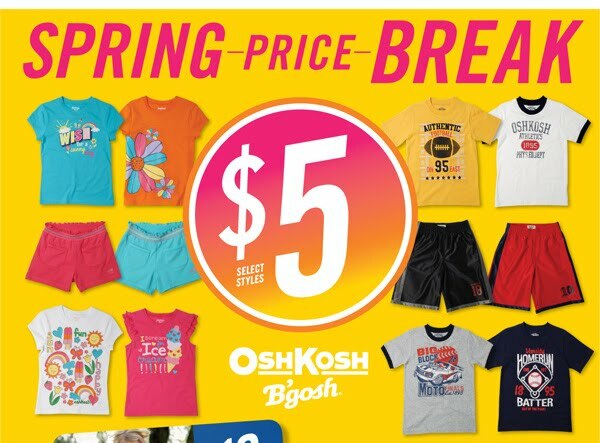 Osh Kosh B'gosh is having their Spring Break sale thru April 3! Osh Kosh has done a great job of updating their look. Growing up I only associated them with denim and overalls but now this store is THE staple for my daughter's wardrobe and now they have a online store they just added recently. There are additional coupons available online also. Happy shopping!